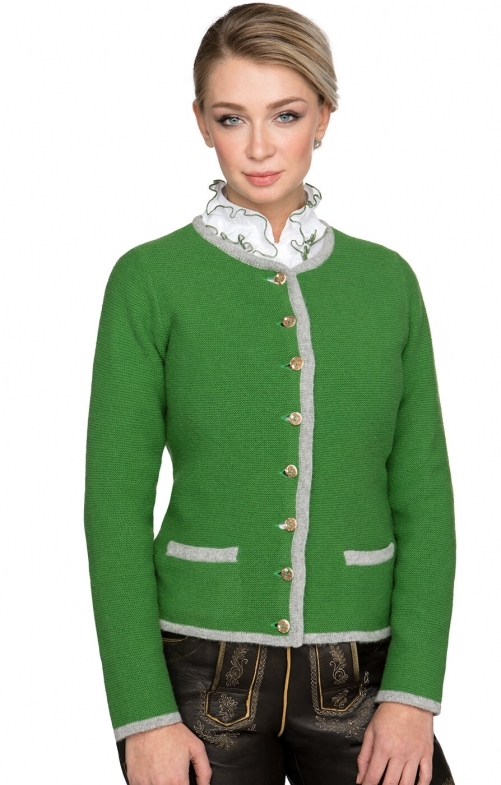 Women’s Cardigan Caro in Green and Truffle. Women who step out in this stylish Caro green and truffle cardigan are sure to feel snug and warm in all seasons. The green-coloured base of this 80% wool and 20% nylon Trachten cardigan is perfectly complimented by the truffle-coloured edging that is also added to the cuffs and to the pocket on each side to add a little extra flare. The cardigan fastens down the front with a series of eight horn buttons that add an extra touch to the garment while also making it very versatile so that it works well with various different styles.